Just in time for the regular season, you can now watch every game on MLB.tv completely blackout free! 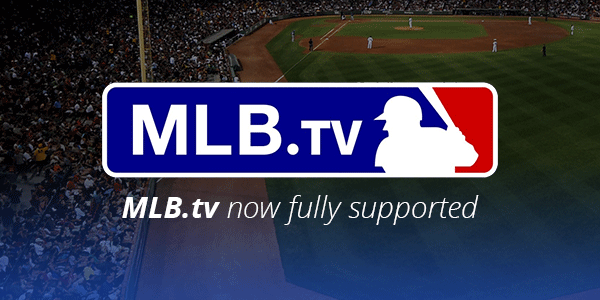 MLB.tv is now fully supported on PS3, PS4, Xbox 360, Xbox One, Roku, FireTV, and browsers on your desktop and laptop. It's very possible it will work on other devices as well, but these are the ones we have tested ourselves within our network. MLB.tv is a premium service, and costs $109.99 for a yearly subscription, $24.99 a month, or only $84.99 for a yearly Single Team subscription. We're always looking to add more services, if you have a service you would like to see added, just send us an email and let us know!